Chief Minister Mamata Banerjee said the state government would provide all medical assistance to those injured in the incident. 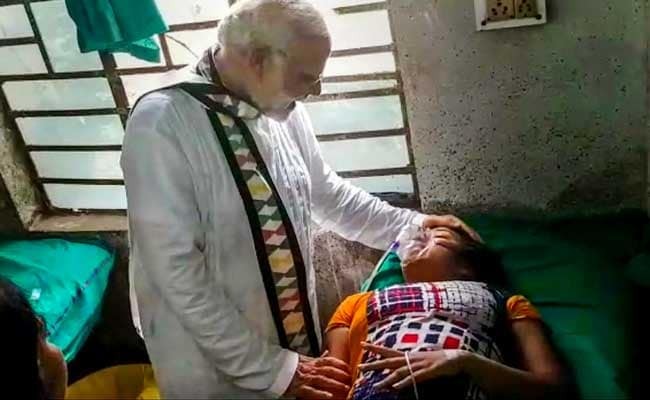 PM Modi visited the injured in the hospital after the tent collapse. The centre on Monday sought a report from the West Bengal government on the collapse of a makeshift tent at the venue of Prime Minister Narendra Modi's rally in Midnapore in which at least 90 people were injured. The tent was erected next to the main entrance of the rally venue to shelter people from the rain, and the incident happened when PM Modi was mid-way through his speech. "The centre has sought a report from the West Bengal government on the tent collapse incident in Midnapore in which several people were injured," a home ministry spokesperson said. The prime minister saw the tent collapsing during his speech and immediately instructed special protection group personnel standing near him to look after the people and attend to the injured, officials said. P Kundu, the principal of the government-run West Midnapore Medical College and Hospital, said 67 people including 13 women were admitted after the incident but no one was seriously injured. PM Modi also visited the injured at the hospital later. "We pray for the speedy recovery of all those injured at the Midnapore rally today. The government is giving all help for medical treatment," Ms Banerjee wrote on her Twitter handle.